Great exchange rate, much better than your bank with lower charges too. Nobody likes bankers so don't give them more money than you really need to, try Transferwise and save some money. I have used them several times saving a good deal of money as well as time as once it is setup it makes it so easy to make a payment and re-payments. Thanks to all those that have signed up using the above referral link, it has earned £50 x2 so far! Two minute prank! This is your bank this is! Are your bank STILL sipping your beer? I have used Transferwise since December 2013. That is almost 2 years now, and each transfer I have done has saved me money on the transfer charges. There have been lots of transfers made as we go to Spain quite often and pay for apartments via Transferwise. It does take longer than your bank to complete the transfer (upto 5 days), howover, so long as you know that you will be fine. Just used Transferwise and saved just over £18. If I had used a bank, or building society, the transfer would have cost £18 more on average due to their higher charges and poorer exchange rates. 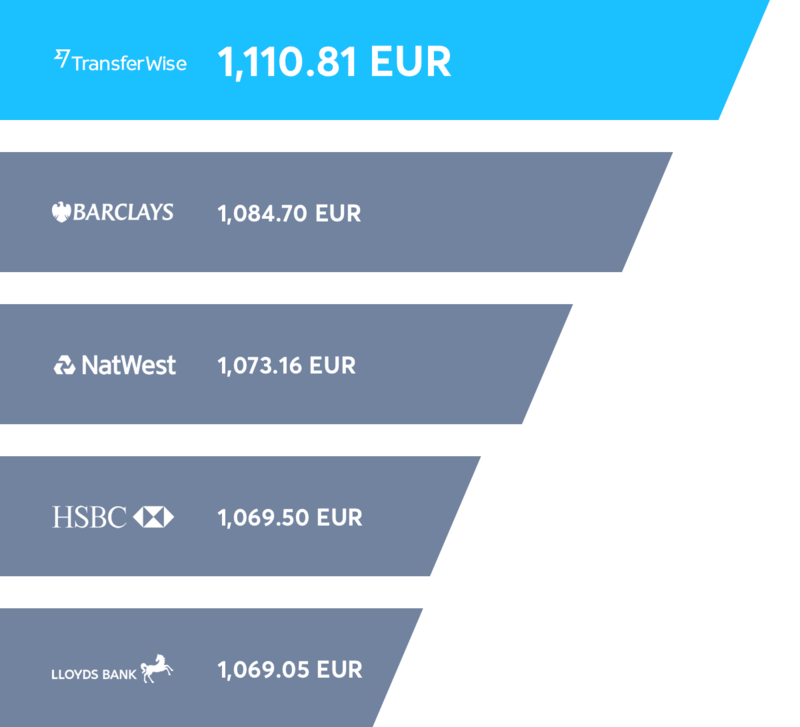 BTW Great service Transferwise, quick, easy and kept me updated at each stage. Thanks Transferwise. Now they have dropped the fee for transfers from GBP to EUR! Let me know if you are not sure, but myself and lots of others have saved a great deal on transfer fees using them. To make this comparison table, we used information we took from the other providers’ websites (someone either does this manually, or we use some clever tech). The figures you see are based on bank-to-bank transfers, using the mid-market rate 1.1156 collected at 12:56:00 BST on Friday 20th October 2017.